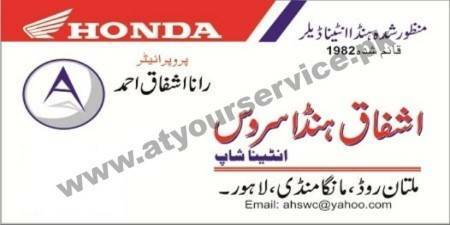 Ashfaq Honda Service is located on Multan Road, Manga Mandi, Lahore. We are the authorized Honda Motorcycle dealer since 1980. We deal in all range of Honda spares for motorcycles. We also process warranty claims on behalf of Honda Company.